Dilated blood vessels on the affected area which make the area warm. This dog disease does not cause pain. 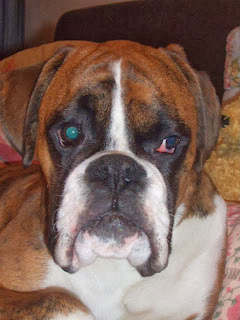 However, it is important to realize that there is no treatment for the changes in the eye, but if the damage is mild then it would heal on its own, and the appearance of the dog will be normalized. Normally this problem in dog becomes fine with in three months or so, but eye surfaces must be lubricated. Apart from this phenylephrine eye drops are injected depending upon the location of the injury.